Our region is filled with exciting destinations, available practically in our backyards! Learn more about these popular getaways. In a never-ending quest to bring guests something new and unique, Starved Rock Lodge in Utica, Ill., has created its own brand of gourmet ice cream. Choosing to call it “Artisan Ice Cream” was a decision made by Lodge CEO Terry Cross. Executive Chef Barry Brooks, known as “Chef Bear,” took part in the initial research and development of the product that would be sold at the Café, Main Dining Room, Lounge and Outdoor Veranda of the lodge, and at Treailheads Concessions at the Visitor Center. Knowing that Starved Rock State Park attracts more than 2 million visitors each year added to the challenge to create a product that would appeal to a wide variety of guests. Flavor options are constantly expanding and evolving, and include original flavors with seasonal themes. Chef Bear is in the process of creating the recipe for beer-flavored ice cream – Leinenkugel-inspired Berry Weiss beer to be exact – which will be featured at the Lodge’s annual Leinenkugel Dinner in November. And that’s only the beginning! 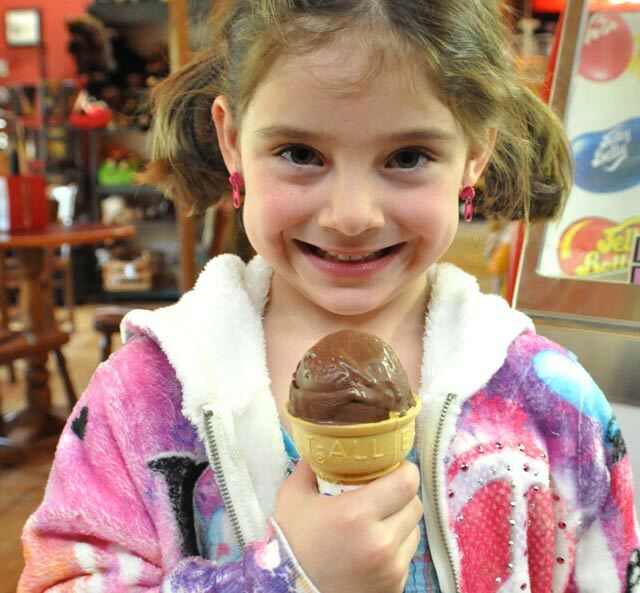 There are plans to offer Artisan Ice Cream at weddings and special events, too. Hopes are high that the Lodge and Veranda outdoor dining experience will offer dessert with every meal. Now that all the elements are in place, the Lodge is ready to serve this new and refreshing treat to its guests as another unexpected perk at one of the Midwest’s best getaway destinations. If Chef Bear gets his wish, the Lodge will be processing ice cream in pints, just like other superstars in the ice cream world! Christopher Columbus described Jamaica as “the fairest isle mine eyes ever beheld,” and the island has been delighting visitors ever since. Now Chicago Rockford International Airport will begin weekly direct flight service to Donald Sangster International Airport (MBJ) in Montego Bay. The first flight departs Jan. 28, 2013, and will run through April 1. Bookings have already begun. The Jamaican flight is offered through Apple Vacations, which also provides service from Rockford to Cancun, Mexico, and to Punta Cana, Dominican Republic. RFD reported its busiest-ever month in March, with 32,473 passengers. Its first-quarter passenger traffic in 2012 was up 14 percent year-over-year. Apple’s non-stop flight to Jamaica takes about four-and-a-half hours, unlike most commercial flights, which stop at points along the East Coast. United States citizens need a passport for entry to the island, but not a visa. The Commonwealth of Jamaica is roughly the size of Connecticut and is the third-largest among thousands of islands in the Caribbean Sea. It’s located about 90 miles south of Cuba and 120 miles west of Hispaniola (the island of Haiti and the Dominican Republic.) Called “Santiago” when it was ruled by Spain, and renamed “Jamaica” when England claimed it as a colony in 1655, the nation achieved full independence from Britain in 1962 and is governed by a parliamentary democracy and constitutional monarchy. Queen Elizabeth II is recognized as the Jamaican monarch. With a population approaching 3 million, Jamaica is the third-largest English-speaking country in the Americas, after the United States and Canada. Nearly 2 million tourists from around the world visit Jamaica each year. 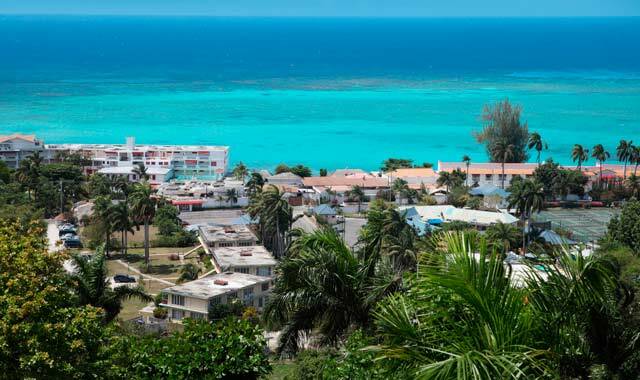 The island’s north coast is the main attraction, and includes Montego Bay, known best for its beaches, restaurants and colorful nightclubs; Negril, with its white and powdery 7-Mile Beach and flat stretches of turquoise sea; Ocho Rios, home to spectacular waterfalls, beaches and Spanish Colonial buildings; and Port Antonio, a lesser-traveled area dedicated to ecotourism and filled with hidden waterfalls, caves and secluded lagoons. Kingston is the country’s capital and commercial center. Resorts range from simple to posh, with familiar names like Sandals, Iberostar, Hilton and Ritz-Carlton interspersed among celebrity favorites like Blue Lagoon Villas, where each villa offers its own chef, housekeeper and butler; or Strawberry Hill, with Georgian-style cottages located high in the Blue Mountains.Although many tourists sequester themselves within elegant beachside resorts, enjoying water sports, pool parties and relaxation, there are plenty of first-rate attractions for those who want to get to know Jamaica. Climb the terraces surrounding spectacular Dunns River Falls near Ocho Rios, swim with dolphins, tour a plantation or botanic garden, view the jungle from a zip line above the tree canopy or an ATV below it, go river rafting, and splash along frothy ocean waves on horseback. Historic sites abound, too, such as the house once owned by English playwright Noel Coward, 18th century Appleton Estate rum distillery, and Nine Miles, the birthplace of singer Bob Marley. In Montego Bay, visit famous Rosehall Great House, the inspiration behind at least a dozen Gothic novels, including H.G. de Lisser’s White Witch of Rose Hall. Jamaica’s rainy season is May to October; temperatures average 77 to 86 degrees year-round. The lively Jamaican culture reflects a melting-pot ancestry from Africa, Europe and Asia. Fertile ground, an ideal climate and the Caribbean Sea produce rich coffees, seafoods and tropical bounty like yams, coconuts, bananas, mangoes and sugar cane. Augmented by sauces and jerk recipes that are mimicked around the world, visitors savor Jamaican food in gourmet restaurants and humble eateries alike. And don’t forget the island-made rum or Red Stripe beer. This entry was posted on Wednesday, June 27th, 2012 at 12:00 pm	and is filed under Recreation & Destinations, Top Posts. You can follow any responses to this entry through the RSS 2.0 feed. Both comments and pings are currently closed.